I am watching House Hunters on HGTV and this couple is looking, obviously, for a house and the girl in the couple is pregnant and her ankles are HUGE. When you are pregnant you notice stuff like this, I guess. I am switching back and forth to some old episode of Friends. Now, granted I am not a huge fan of Friends anymore but I totally watched it when it was on like 5 years ago. And all I have to say is “Rachel is NOT a mom” she has time to shop, hang at a coffee shop and look perfect 24/7! What a scam! I just got off ichat with my best friend who recently had her baby 8 weeks ago, and she is NOT doing ANY of that. I mean, don’t get me wrong she does look fabulous just 8 weeks after having a baby but she is not pulling a Rachel. I think this is why people like reality tv. It’s actually real. I would rather see the preggo woman with the giant cankles strolling around Kentucky looking for a new house then see Rachel from Friends ‘pretend’ to be a new mom. Because if I polled 100 women who just had a baby I gaurentee they aren’t sitting in coffee shops reading Cosmo. All I can say is “hats off moms!” I am about to join you! You are very selfless people who live real lives. SO here’s where we’re at…wall wise what do you think. Just an accent wall? Two walls? Stripes? The whole thing? I’d love your input! 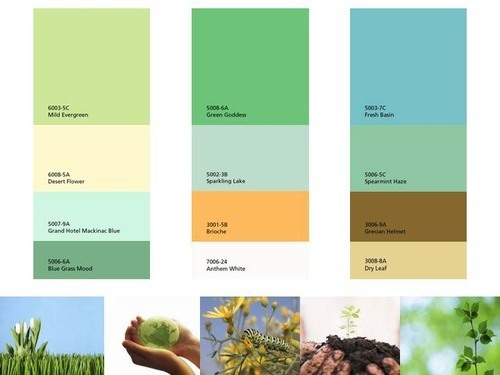 So all of these colors WOULD NOT be on a wall….they would be incorporated into the room. If you had to choose which “set” of colors do you like the best? I won’t say which one I like the best but all of them have stuff I really like about it. I am off to get my hair did at Cutloose Hair Salon. YES! I am in desperate need of hair help!!! I wanna do something different- I will let ya know how it goes! Jason tells me to make up lists every month about different stages in my pregnancy. So this time we are at the 6 month mark. I am actually a little more than 6 months, but oh well. – Be careful of something called Pregnancy Mask. Due to a change in hormones some women may get darker brown spots on their body if they are out in the sun for too long. This isn’t a tan- it’s more of a concentrated skin blotch. Sometimes it goes away and sometimes it doesn’t. So be sure to wear SPF or a hat if you gonna head outdoors! – Right now the baby is about the same length of a plastic recorder flute, or around 11-12 inches. well about 5 minutes later this stream of servers come over to our table singing HAPPY BIRTHDAY to Megan!…it really caught us off guard and Megs was bright red…although they came with a hot fudge sundae so that was a plus! We also ate the cheesecake. WHOOPS! oh well. So many good stores opening at the Mall and it was good to get up and walk after our dessert! I bought some Coconut Tea (decaf!) from Teavana and headed home to relax. The rest of the weekend will be spent either grilling, enjoying the AC and sleeping in. Then Sunday is FATHERS DAY! I got Brandon a “dad-to-be” fathers day card, and a special gift from the baby (Baby boy told me to get it for his dad I couldn’t say no;p) I will update that on Sunday after I give it to him. Doing anything for the baby daddy in your life? Or for your own dad? I sent mine straight up cash…I figure he’s not gonna use a gift card (he will forget about it and leave it in his wallet to expire) and he has everything he needs so I told him to treat himself to a happy hour or something…I am sure he’ll figure it out. How much did I give him? Only 27 dollars…a dollar for every year he’s been my dad…lol. ok gotta go relax – you do the same! *Babynamesworld.com- look up baby names from EVERY country in the world. 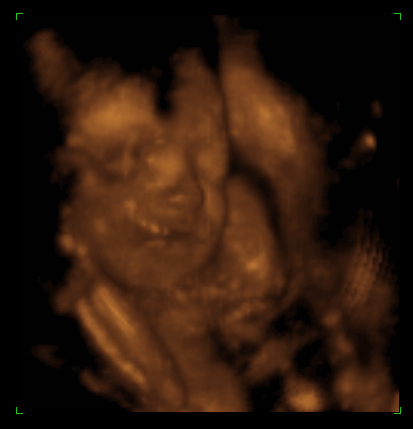 Plus it gives you a week by week showing of what your baby looks like – that you can actually post on blogs and stuff! *Mothering.com- a very natural take on birthing, children, and families. Very interesting topics in their community section and good advice from a whole slew of ladies (and dads). So what are your favorite sites? Do you hunt for baby clothes all day, or do you stick to looking for the best deals on craigslist for baby furniture? I gotta admit I do it all! LOL! I love hearing from you and can’t wait to hear more! Kelly@endonline.com or comment! Cravings!? YeP! I have talked to some of my friends who had crazy cravings! Anyway after I did some research on the topic I found that cravings are you bodies way of alerting you of something it needs! ALTHOUGH if you crave shots of tequila I don’t think that is what you’re body needs! At least not till the baby is BORN! BUT if you are craving greasy food like McDonalds french fries with lots of salt – it’s PROBABLY your bodies way of saying it needs good salts like healthy foods – not Micky D’s…although their french fries and milk shakes are BOMB. I will admit! fifth: burgers, steak, RED MEAT! Speaking of which I am going to start the grill right now and begin grilling…I have a huge steak waiting for me and I am still debating if I should share it with Brandon…! Don’t get between a pregnant girl and her food…am I right or am I right? !